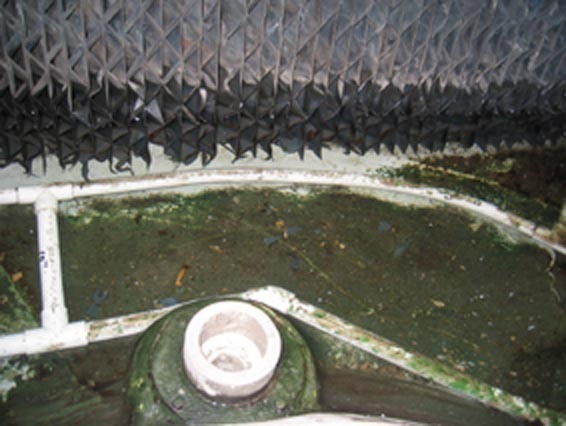 Due to the favourable conditions such as relatively high water temperature and high nutrient content provided by the sediment of debris on the basin, bacteria is commonly found in the condensing water circuit of a cooling tower system. Legionella is the most notorious among those bacteria because it is lethal to human being. Biocide is typically used and its concentration must be maintained at a certain level in order to kill bacteria. However biocide is simply dosed by a simple control with a combination of adjustable feed rate dosing pump, timer control and interlocked with the operation of chiller plant. In a more advanced control, the rate of make-up water and/or rate of bleed-off water is monitored so that biocide is dosed in accordance with the consumption of it. The most sophisticated one is being the real-time monitoring of biological activity which reflects to certain extent the bacterial activity. However such solutions are not commonly adopted due to its high initial captial cost and maintenance cost. HydroFLOW P Range is a perfect and complement solution to the traditional dosing of biocide for bacteria control purpose. Bacteria is polarized when it passes through the induced electric field. 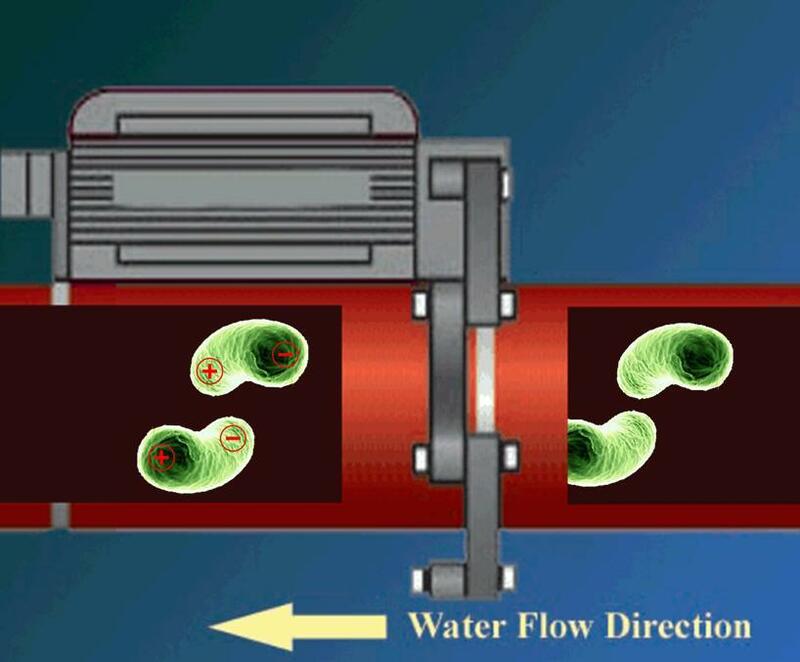 The charge polarization on the micro-organism causes alignment of water molecules to pack tightly and leads to an offset of the osmotic pressure between the cell and the water environment. The magnitude of change in osmotic pressure depends on the concentration of the cytoplasm of the cell and the nature of water (sea water, underground water or fresh water etc…). 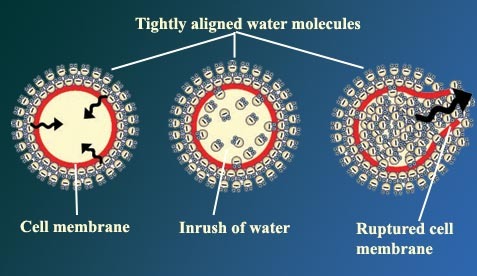 The offset in osmotic pressure results into an inrush of water into the cell. The hydraulic pressure built up inside the cell finally ruptures the cell membrane and kills it. Even if the pressure is not high enough, the dilution of the cytoplasm disrupts the metabolic processes and causes the premature death of the cell. This is the first electromagnetic induction device that is certified to kill Legionella. 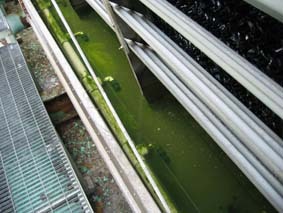 Legionella is common in many environments. Legionella transmission is via aerosols — the inhalation of mist droplets containing the bacteria. Common sources include cooling towers, swimming pools (especially in Scandinavian countries), domestic hot-water systems, fountains, and similar disseminators that tap into a public water supply. Natural sources of Legionella include freshwater ponds and creeks. Person-to-person transmission of Legionella has not been demonstrated. Control of Legionella growth can occur through chemical or thermal methods. The least expensive and most effective control method is keeping all cold water below 25.5°C and all hot water above 51.1°C. Copper-silver ionization is a heavy metal, systemic toxin that destroys biofilms and slimes that can harbor Legionella over the long term. 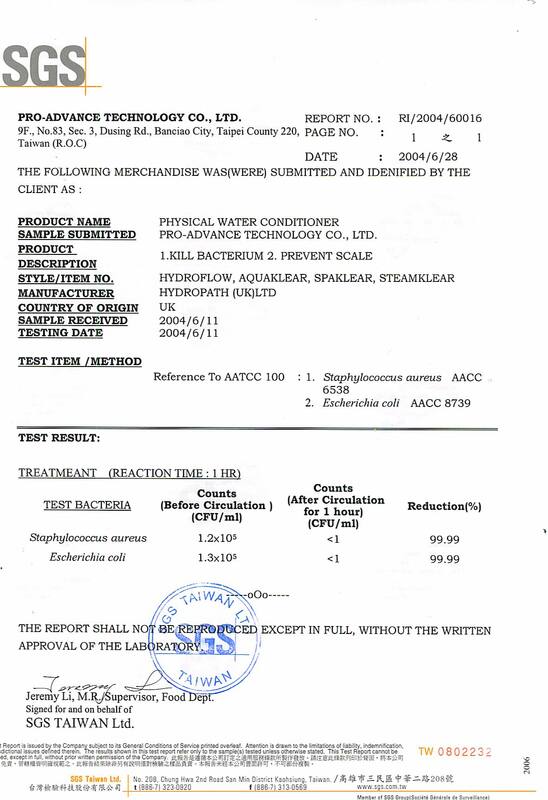 To date no copper-silver system has had EPA approved efficacy studies resulting in final EPA approval as a biocide. Chlorination with chlorine dioxide or monochloramine are extremely effective oxidizing biocides. Ultraviolet light is an excellent treatment but it does not leave an residual in the bulk water system and required regular maintenance. Thermal eradication is a short term marginally effective and expensive method. 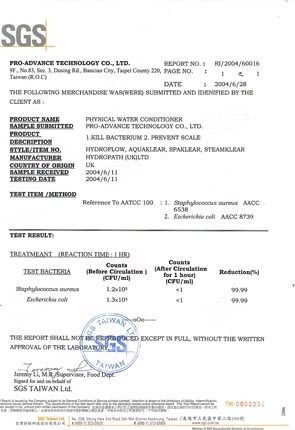 Ozone is extremely effective oxidizing biocide for cooling towers, fountains and spas treatment but metal parts in the water circuit is attacked. 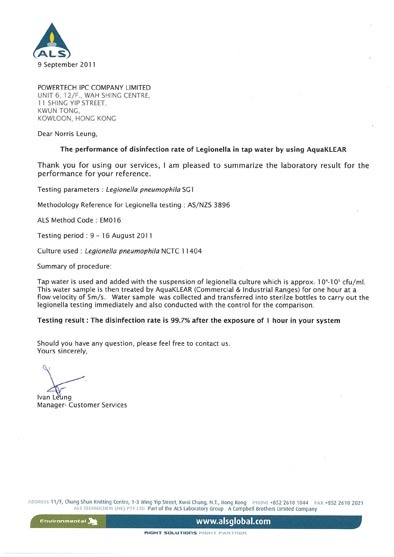 HydroFLOW P Range is a certified and innovative method to kill Legionella and it started to gain popularity due to its simplicity and reliability. Dosing of biocide cannot be eliminated even with the installation of HydroFLOW P Range because bacteria is not controlled when the system is idle. Under such circumstances, chemicals can still provide minimal protection.